Add your prayers of faith and agreement as Brother and Sister Copeland pray for the protection of babies in the womb from the horrific expansion of abortion passed in the state of New York on Jan. 22, 2019. Last week, on Jan. 22, 2019, New York politicians cheered and applauded, as they passed the “Reproductive Health Act,” the bill that allows abortions up to the point of birth. Allows abortion on-demand, no questions asked, up to 24 weeks (6 months). Allows abortions in the 3rd trimester if it the mother’s life or health are in danger for any reason. Eliminates the requirement to provide life-saving efforts to babies born alive in failed abortions. Eliminates criminal charges for someone who assaults a pregnant woman and the baby dies. Any healthcare provider, not just doctors, can perform abortions. All employers must provide any and all birth control and abortion pills with no co-pays or deductibles, and they cannot decline to provide coverage for any woman. 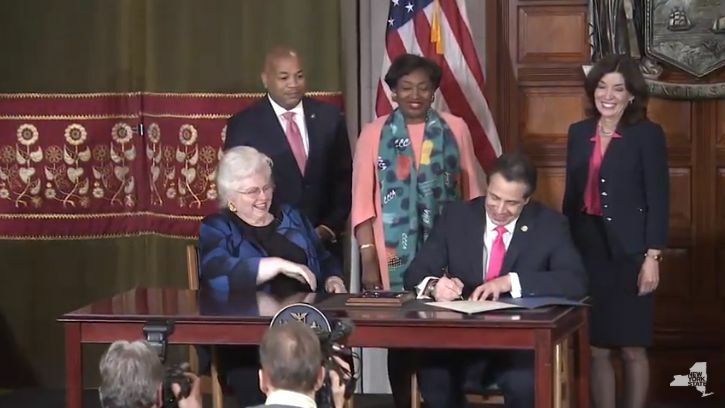 New York Governor Cuomo and abortion supporters smile joyfully, as the governor signs the so-called “Reproductive Health Act” on the 46th Anniversary of Roe V. Wade, making NY the most liberal abortion state in the nation. 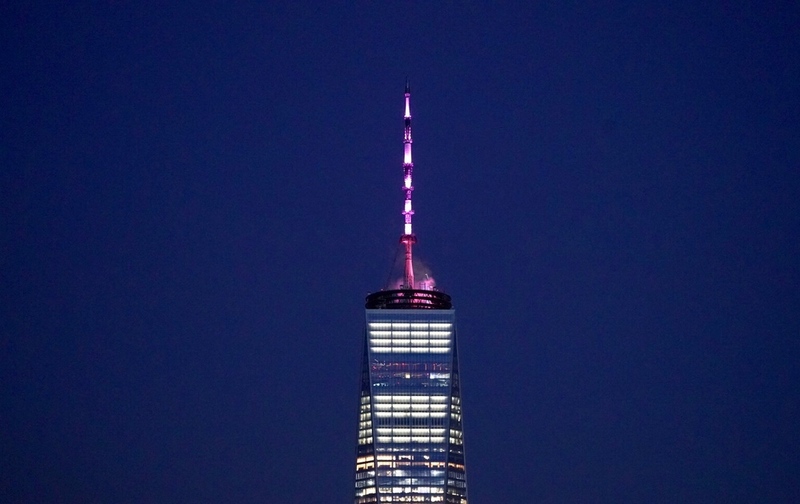 The passing of this abortion bill received a standing ovation by the legislature, and the World Trade Center needle was lit up in pink to celebrate a woman’s right to choose an abortion. Ironically, in celebration of legalizing abortion up to the point of birth, and other horrific so-called abortion “rights,” NY Governor Cuomo ordered the top of the “Freedom Tower” to be lit up in pink, as unborn babies lose their most basic freedom–THEIR RIGHT TO LIFE! Voting for life is the No. 1 issue in the nation! Why? God has given everyone a right to life. According to polls, 90 percent of pastors will not speak against abortion from the pulpit because they believe the lie that abortion is a political issue, but that’s not true. Abortion is a moral, Biblical and spiritual issue. Abortion happened long before Roe V. Wade, and God has already given us the answer to abortion. He values every life because He is the one who gives life to every physical body. As Christians, we should vote for pro-life politicians, and pastors should be informing their congregation of God’s truth on this matter. Are there times when an abortion is the right option? Find out our answer here. 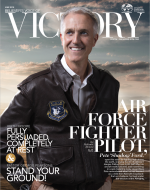 Remember our fight is not against flesh and blood (Ephesians 6:12). It can be tempting to get angry and upset with legislatures who vote for laws, such as this abortion bill, that contradict God’s Word. However, we have to remember that we are called to love our “enemies” and to pray for them. As well, we are called to pray for all leaders, whether we agree with them or not (I Timothy 2:1-4). As Christians, we should stay out of strife at all costs. The people who pass and support anti-biblical laws have been blinded by the work of the enemy and need deliverance. How will they be delivered? From some angry Christian? Not likely. It is the goodness and love of God that leads men to repentance (Romans 2:4). You can’t pray for others to encounter God if you are angry with them. Mark 11:25 tells us that when we pray, if we have anything against someone, we are to forgive them. Thank you for joining us as we pray for the innocent children affected by this abortion law. Remember to vote for pro-life politicians, and to forgive and pray. As we become doers of the Word of God, humble ourselves in prayer, seek His face, and intercede for our nation, God promises He will heal our land (2 Chronicles 7:14).